The Houston Police Memorial honors those who have sacrificed to protect the people of Houston. 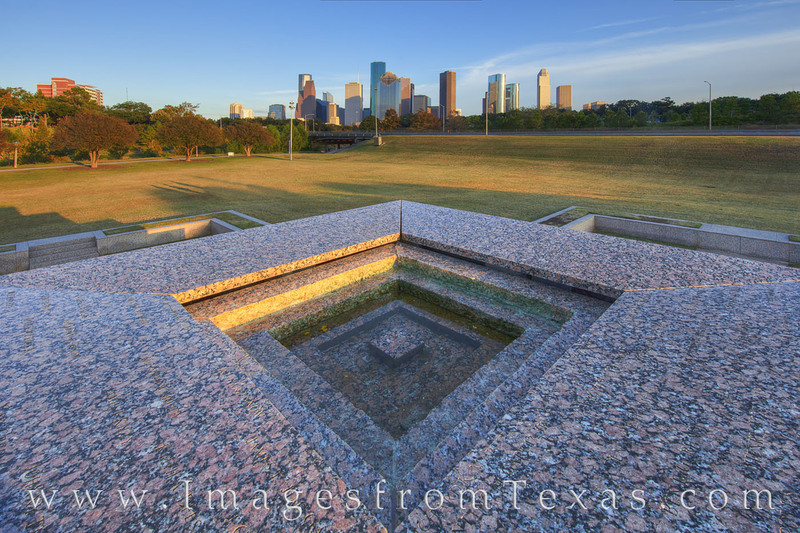 From the top of the memorial, a beautiful view of the Houston skyline is visible. The memorial was built in 1990 in the shape of a Greek Cross, and it sits along the winding banks of Buffalo Bayou. Photo © copyright by Rob Greebon.